That’s the question millions of viewers are asking themselves ahead of the season seven premiere of AMC’s The Walking Dead. Last season’s nerve-wracking finale featured the debut of villain Negan, Lucille, his baseball bat wrapped in barbed wire and the most annoying cliffhanger since The Sopranos. 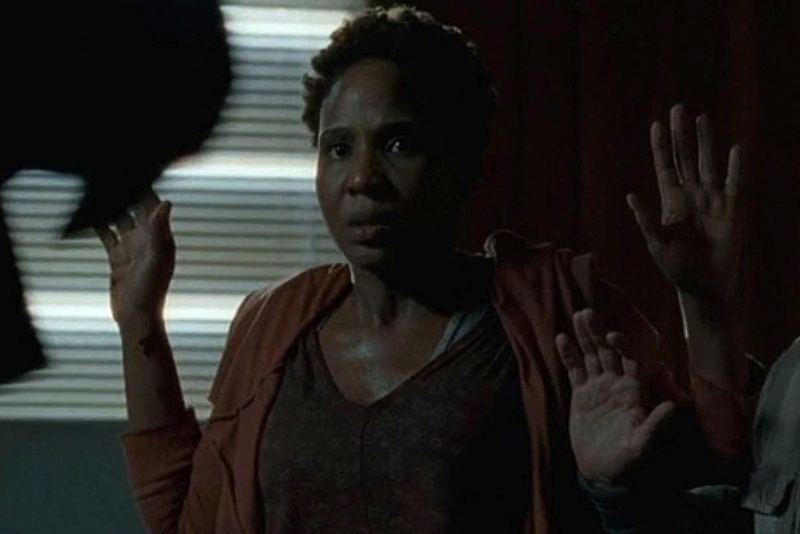 And at least one of the show’s main characters was beaten to death, and it may have been one of the show’s black female leads, Michonne or Sasha. The AMC show has been justifiably criticized for its lack of diversity. Filmed in Georgia, originally set in Atlanta and now set in Washington, D.C., the original season featured just three black characters, all of whom were underdeveloped. 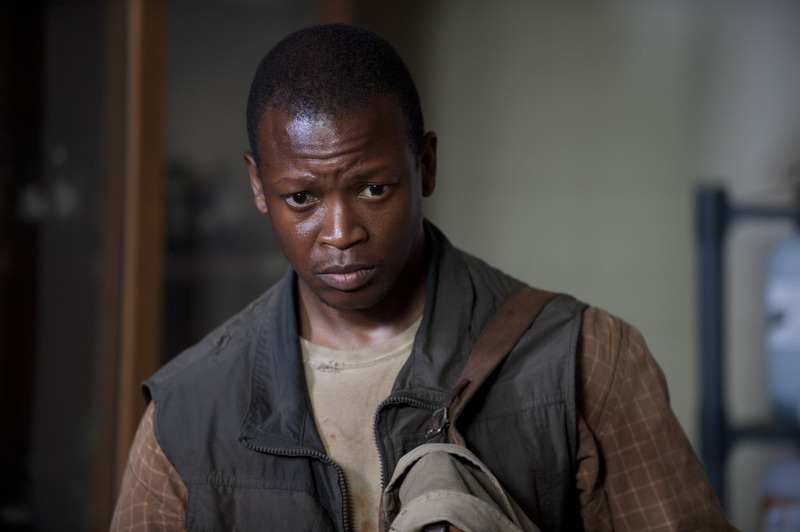 T-Dog was the “d—, s—, and that is wack” trope, Jacqui was and is largely forgotten and Morgan appeared in just one episode. But over the years, the quantity and quality of black characters has improved. 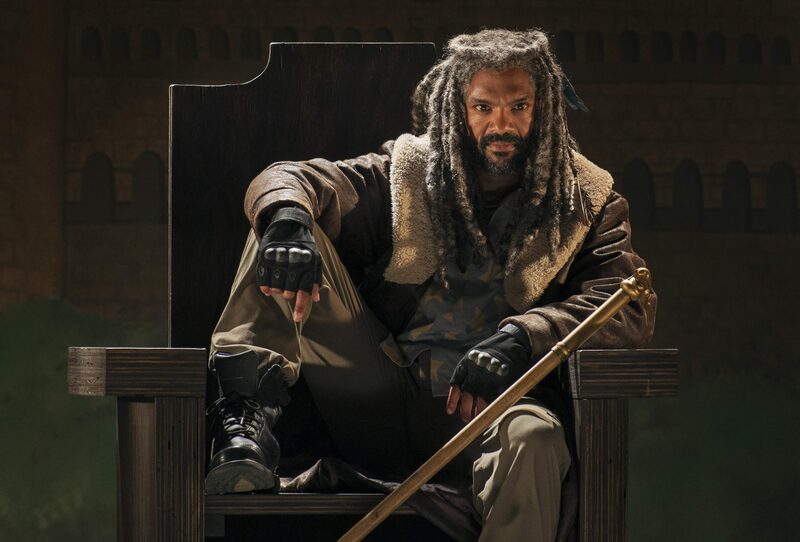 There are six currently on the show, three of whom — Michonne, Sasha and Morgan — are central to the plot in every episode. 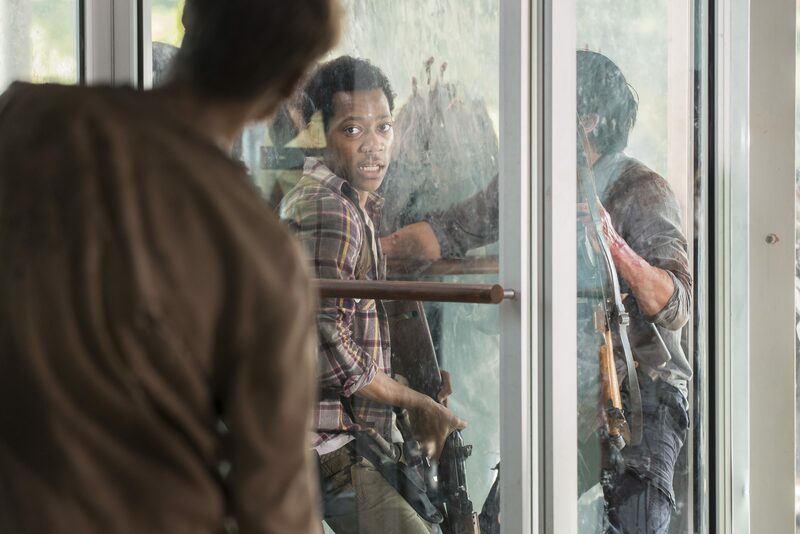 With that in mind, we decided to rank the 27 black characters — from worst to most beloved — who have appeared on The Walking Dead since its premiere. Whether the character appeared in one episode or 90, we list each man and woman based on a rigorous criteria of … however we felt (and we only count living characters who have a name listed on IMDb.com). You may want to strap yourself in, because the HOT TAKES start with No. 27. There hasn’t been a fall from grace this rapid since Ken Bone’s Reddit account came to light. Before season six, Morgan was one of the show’s most cherished characters. But throughout the most recent season, he became the living embodiment of “All Lives Matter.” His anti-killing, kumbaya attitude almost led to the death of at least four people when he refused to kill Owen, plus he ends up killing someone during the season’s finale, making his previous stance all but irrelevant. Don’t forget, he’s also responsible for the death of his son, Duane, after not killing his zombified wife. 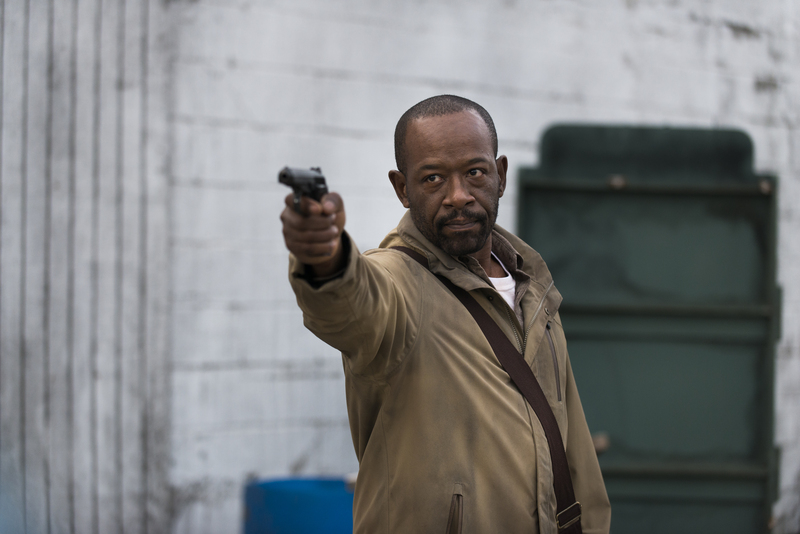 While Morgan’s fighting skills are top-notch, he tends to bring a stick to a gunfight. Eastman turned Morgan into a sucka, and I wish Morgan was with the group who got caught by Negan. 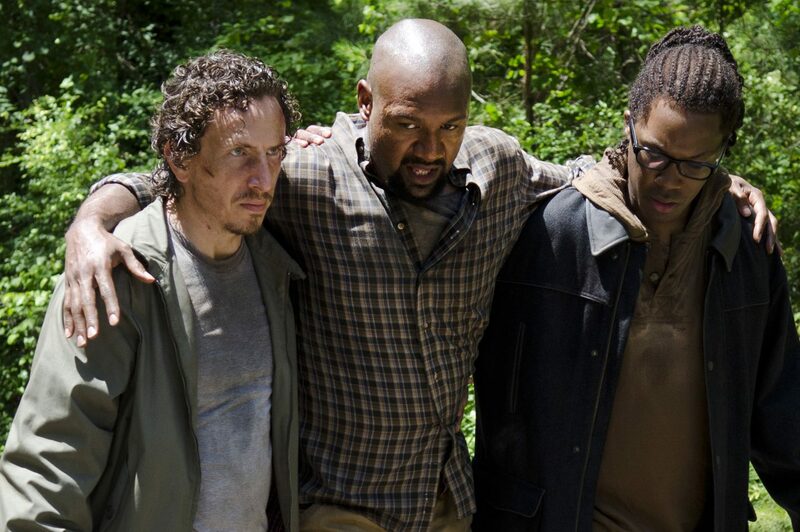 Morgan’s worse than Carl. Duane’s claim to fame is knocking Rick out with a shovel back in season one, which was for the culture. I rank him here to further spite his terrible father. Jacqui, like quack Dr. Edwin Jenner at the Center for Disease Control, went out like a weakling during the finale of season one. 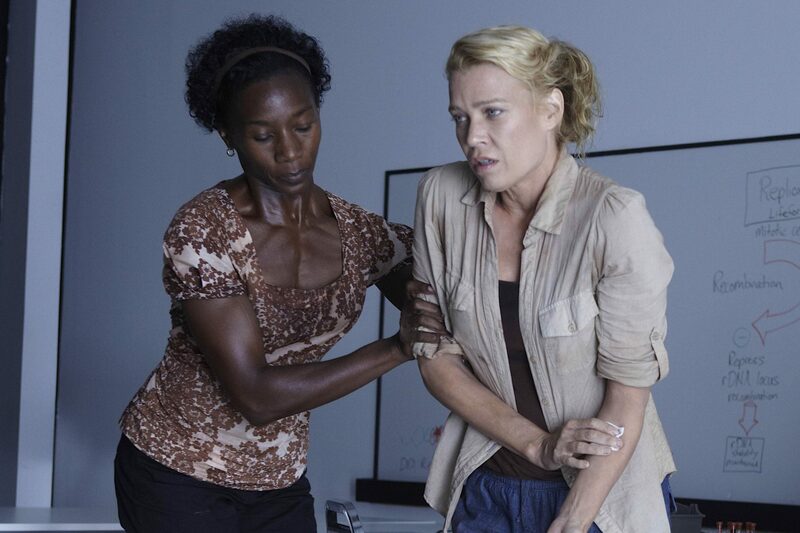 She patches up The Governor after he loses his eye and then disappears from the series. That’s about as much as she’s done here. Literally have no recollection of this guy. He apparently worked with Rick as a sheriff’s deputy, which makes him the feds. Tony was a snitch in season four and got what was coming to him. Michonne ends him at the campsite before the group reached Terminus. Season four: Jeanette never picks up a weapon, never throws a punch, but books it for the school bus that takes everyone to safety. 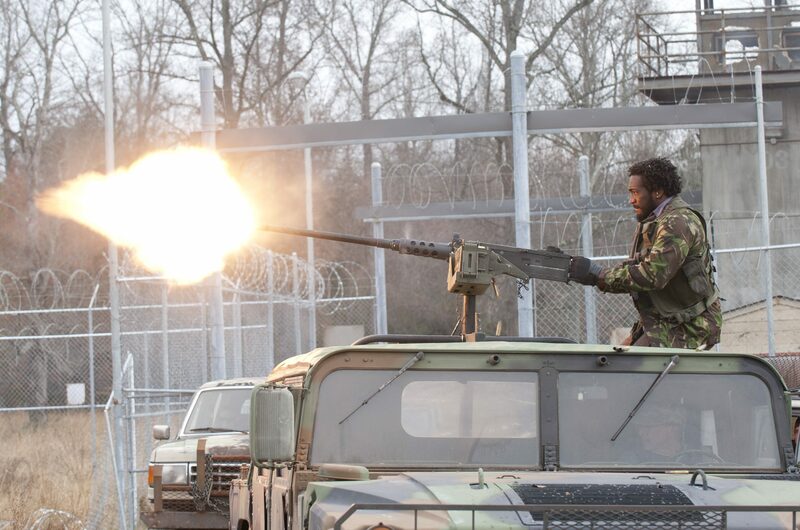 Stuff started going down during the midseason finale of season four, with The Governor and his crew rolling up guns blazing to the prison. Jeanette never picks up a weapon, never throws a punch, but books it for the school bus that takes everyone to safety. She is me if the world ever turns. Jeanette was smart. Bertie was part of the Hilltop Colony supply team that was saved by Rick & Co. during the middle of season six. She has only two lines in the one episode she appears in, but when she’s found at the abandoned building, she raises her hands in a “hands up, don’t shoot” kind of way, and I’ll just project onto her that she’s down for the cause. 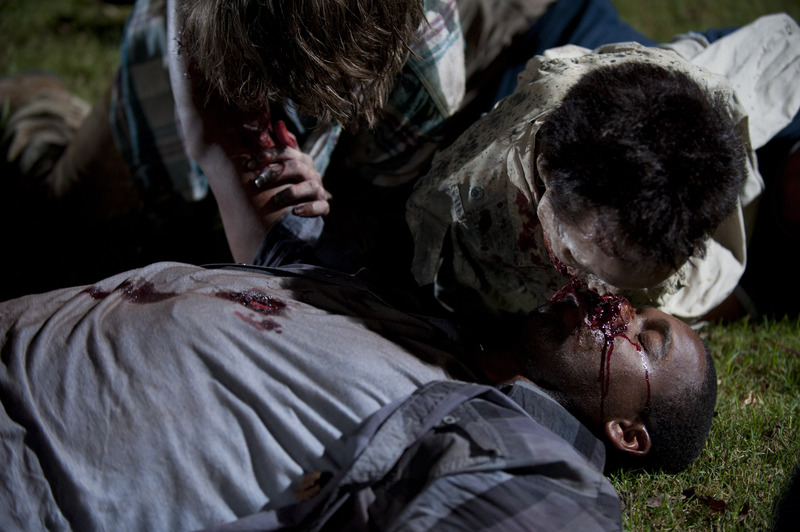 Season two: Sean deserved to then get his face eaten by the walkers. Sean deserves to be higher on the list solely because of his association with the atrocious season two at the farm. He tries to kill Glenn while at an abandoned bar, and in turn gets shot in the chest from no-gun-skills-having Hershel. So, he deserved to then get his face eaten by the walkers. Season three: Oscar ends up killing Andrew, which is some black-on-black crime I just can’t tolerate. 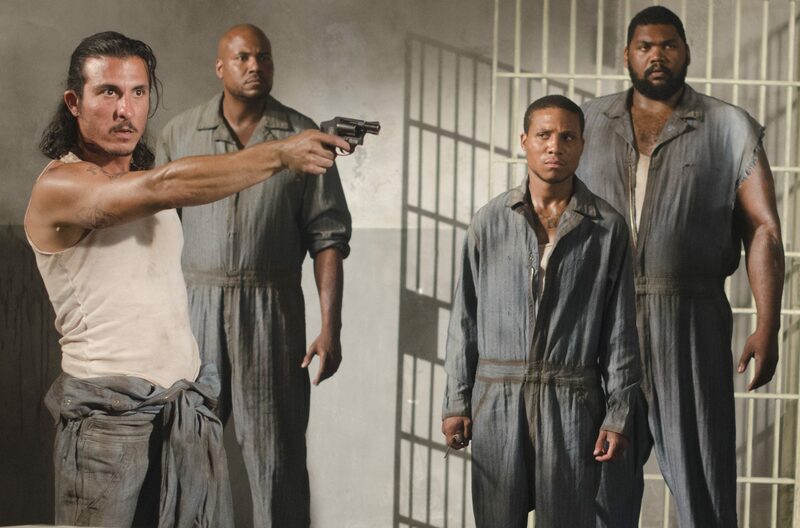 Rick and the group columbused the prison they came across in season three, not knowing that these three prisoners, and two others, already inhabited it before the zombie outbreak. There’s a scene where the prison contingent goes all “Leeroy Jenkins” on the walkers, so that automatically ups their ranking. But Oscar ends up killing Andrew, which is some black-on-black crime I just can’t tolerate. Shumpert is the black Darryl, in that he’s good with a bow and arrow. When The Governor started going crazy at the end of season three, killing his own people, Shumpert was smart enough to stay out of grown folks’ business. He later steals The Governor’s truck, which is just plain gangster. Season six: Scott doesn’t play overachiever like the others by volunteering to take Maggie to Hilltop. Scott is introduced alongside fellow black Alexandrian Heath in season six, because I guess the writing team was feeling exceptionally woke that day. He was minding his own business before getting accidentally shot in the leg by Sturgess, taking one for the team. Later in the season, he doesn’t play overachiever like the others by volunteering to take Maggie to Hilltop, thus preventing him from coming across Negan during the season finale. Smart. Guillermo, or “G,” is introduced as “the man here” in season one, so you know he’s boss status from the get-go. He’s on the show for all of 10 minutes, but avoids being shot dead by trigger-happy Rick, so that’s a win in and of itself. He also gains some points for having Hispanic archetype Noel Gugliemi in his crew. 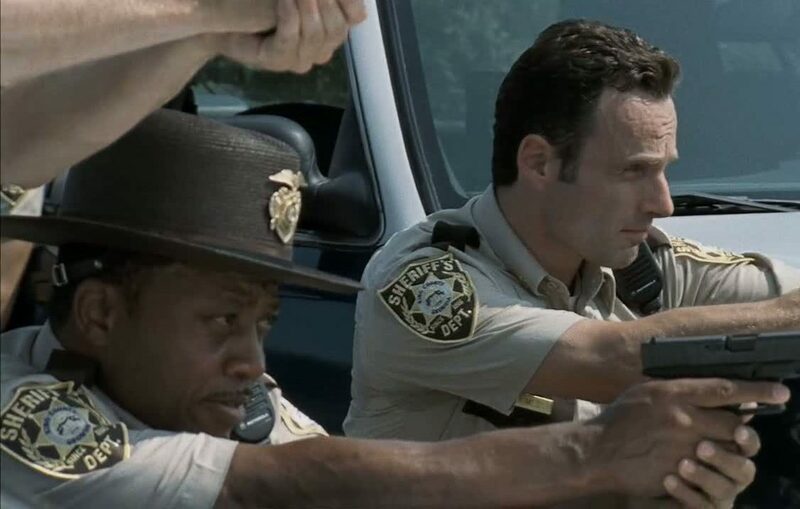 The actors who play Mike and Terry technically only appeared in one episode in the show’s fourth season, but their characters make appearances in seasons two and three as jawless, armless zombies used as walker repellents. 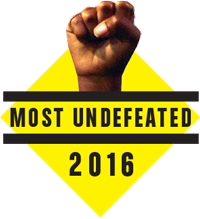 They’re ranked this high because they protect fan favorite Michonne, and because Aldis Hodge is a national treasure. Paul died in honor, standing up to The Governor, and was never really down with the Woodbury leader anyway. He was one of the good ones. #EverybodyAteChris just about sums up Noah’s tragic and gruesome death in season five. 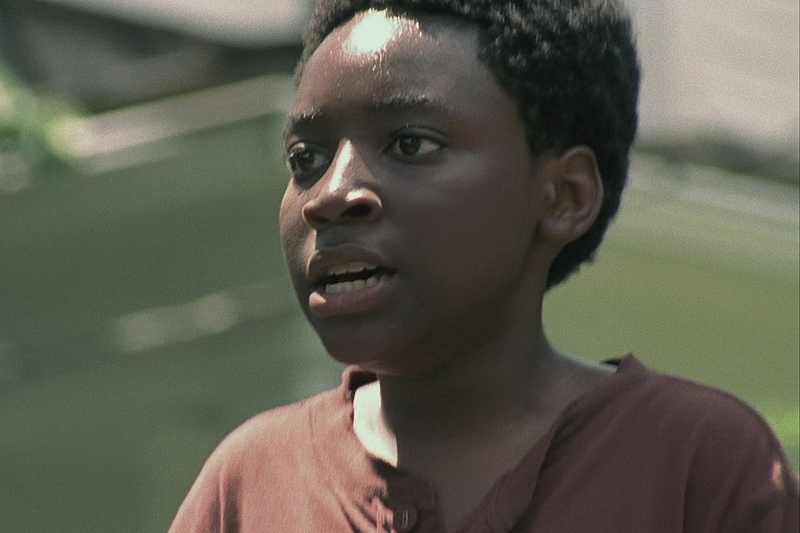 Noah almost missed the top 10 because he caused the death of Tyreese, though. I never read The Walking Dead comics, so I have no idea who Ezekiel is or his importance to the overall story. But he has a tiger. A tiger, people! Along with Morgan and Jacqui, T-Dog is one of the first black characters we meet in heavily gentrified, dystopian Atlanta. 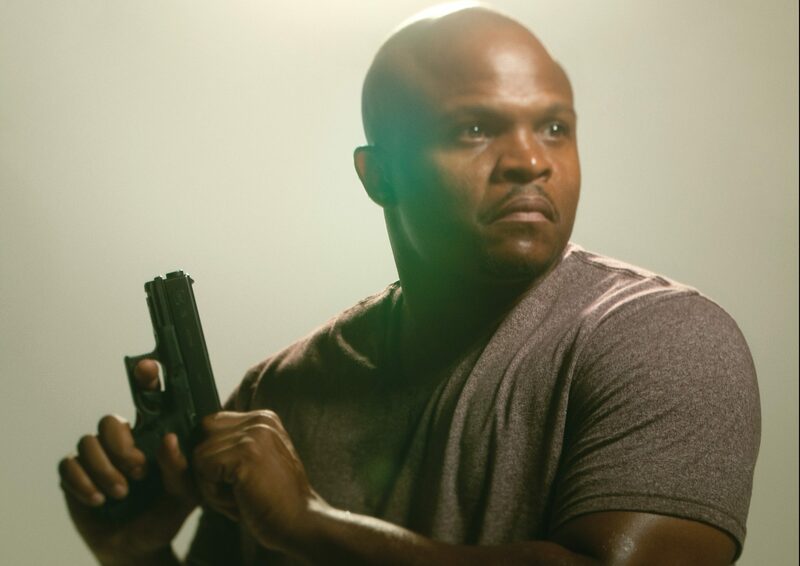 I imagine Theodore never went by T-Dog before he met all those white folks, and they just started calling him that because it “fit.” He put up with that terrible nickname for three seasons and then died to save Carol. That makes him a first-ballot Hall of Famer in my eyes. 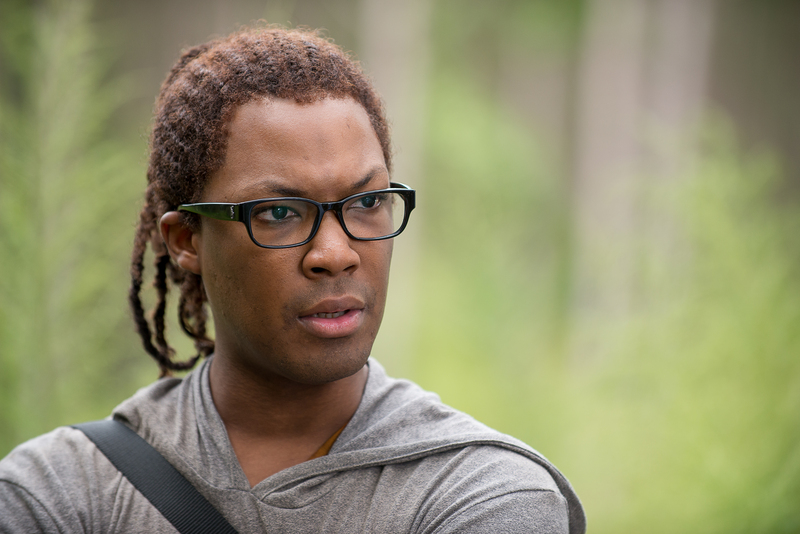 The Wire’s connection with The Walking Dead is strong and well-reported, but the showrunners also apparently like N.W.A., too, as Heath is the third cast member from Straight Outta Compton (Guillermo and Mike) to appear on-screen. His ranking takes a hit, though, because of that dead squirrel the prop team threw on top of his head. I’m offended. Another alum of The Wire who gets bonus points based off past history of work. 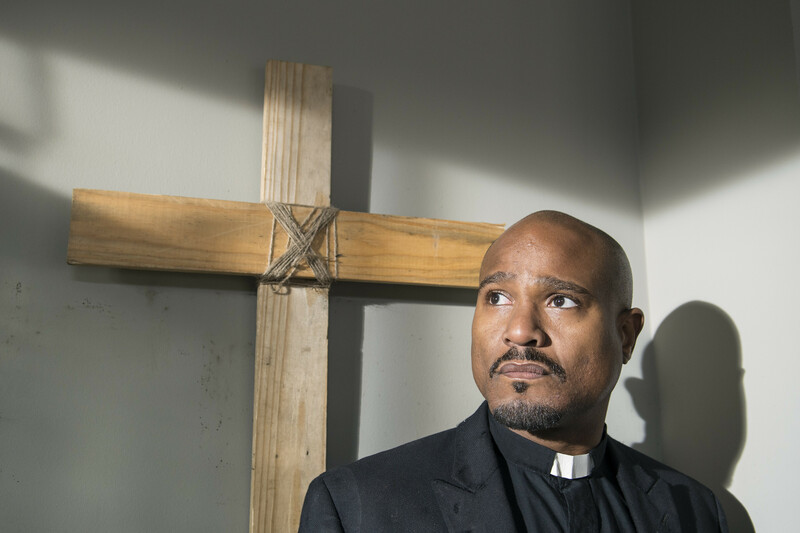 His Christian faith sometimes shields him from the reality of the postapocalyptic world — not to mention he is a coward and a backstabbing snitch — but Father Gabriel comes around in season six, caring for Judith and even putting some lead in the dome of one Negan’s men. As he states, God has now given him the courage to fight. Tyreese was a man of principle, almost to a fault. Like his character on The Wire, Chad Coleman’s Tyreese starts off as an imposing figure, but soon transitions into a complex and gentle giant. 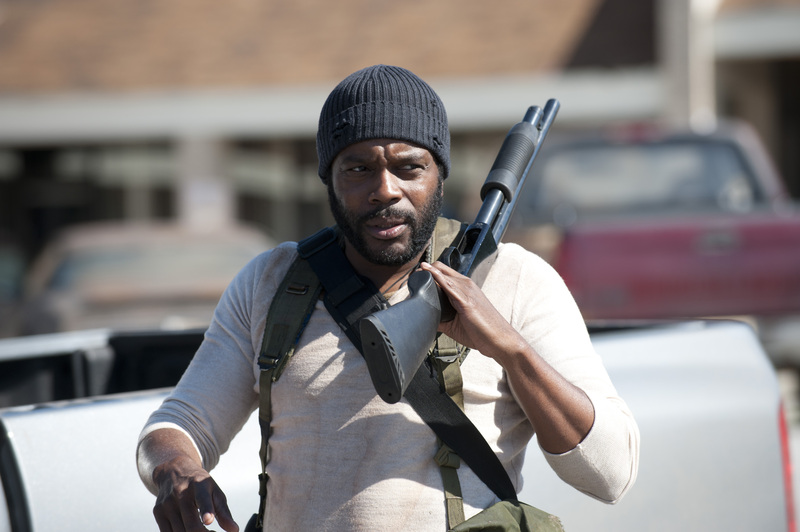 More than any character’s death through six seasons (including the one to come during the season seven premiere), Tyreese’s death hurt the most. He was beloved by the end of his arc. And for what it’s worth, he should’ve made Carol look at the bushes for killing his girl. Out of everyone on The Walking Dead, Sasha’s probably lost the most — the death of her brother (Tyreese) and boyfriend (Bob) in the same season. 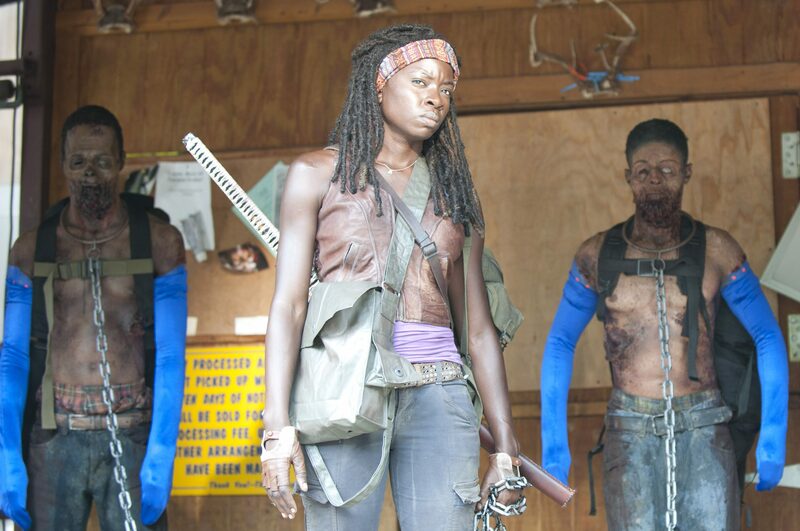 She’s become somber and detached since, but, along with Michonne, she is one of the most well-rounded, multidimensional female characters on television. One moment she’s laid out in a pit of walkers, ready to die, and the next she’s executing precision killshots on intruding forces. She loses some points for Alicia Keys-ing Abraham away from Rosita. Michonne captivated audiences the moment she made her debut at the end of season two, and she’s been the resident badass ever since. 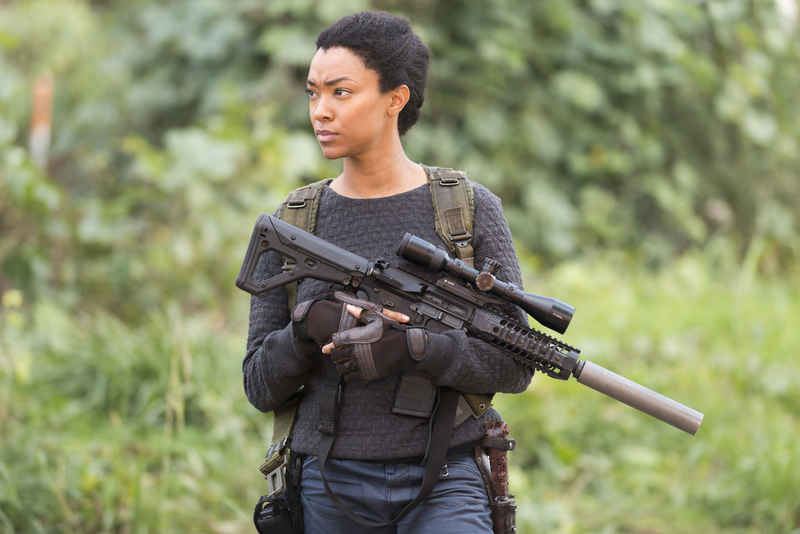 With her signature katana in tow, the dreadlocked samurai has one of the highest kill rates on the show, and is directly responsible for the death of the show’s most notorious pre-Negan villain so far, The Governor. As is the case with Sasha, Michonne is not a one-dimensional character. While she started the series as a brooding loner who used her ex-boyfriend as a zombie pet, she’s since been transformed into the matriarch of the protagonist group. She’s a fan of art. She’s a grieving mother. She even cracks jokes now. 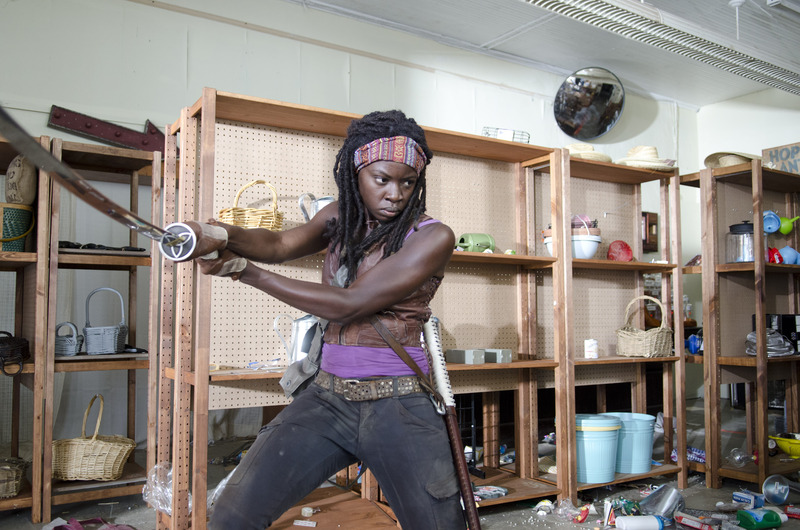 While Rick is the runaway lead, Michonne has slowly become the backbone of the series. She almost lost her top spot to Sasha for briefly being the feds at Alexandria, but all has been forgiven. Let’s just hope she isn’t on the other end of Lucille when season seven premieres.